The PLAYSKOOL Sesame LET'S ROCK! 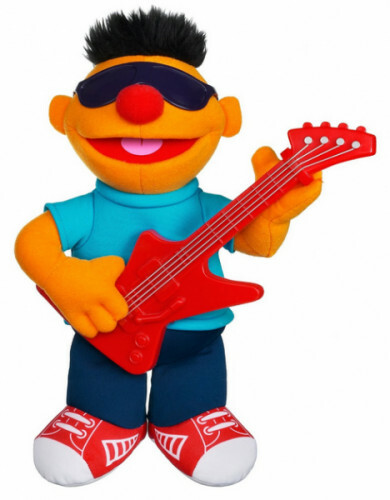 Strummin' Ernie is on sale for $8.57 at Amazon right now. That's 66% off the list price of $24.99! More Sesame Street toy deals . . .
is on sale for $34.45. That's 51% off the list price of $69.99! is on sale for $12.89. That's 48% off the list price of $24.99! is on sale for $14.40. That's 42% off the list price of $24.99! is on sale for $11.52. That's 36% off the list price of $17.99! is on sale for $8.99. That's 55% off the list price of $19.99! is on sale for $12.39. That's 38% off the list price of $19.99!